Last weekend, I was able to get a head start on the relaxation with a spa date with one of my friends. We went to the Shangri-La hotel’s Caudalie Miraj Hammam Spa for a swedish massage and their grand facial. I used to love Shangri-La because of their Moroccan-inspired interiors and the cute cabanas in their relaxation lounge. But, they renovated last fall and the relaxation lounge is not the same since 🙁 it’s a basic lounge with chairs, tables and some chaise loungers! The whole appeal of the place was lost to me and so I hadn’t been back for a while! But, on Friday, I really needed to decompress and the spa did have a slot available so it worked out great! The rest of the weekend was a bit of a blur as the husband and I were both quite busy with chores & errands but the hubby and I did manage to find time to try a new restaurant in the city and I also dragged another friend along to go shopping at Sephora! All in all – a short but good weekend! 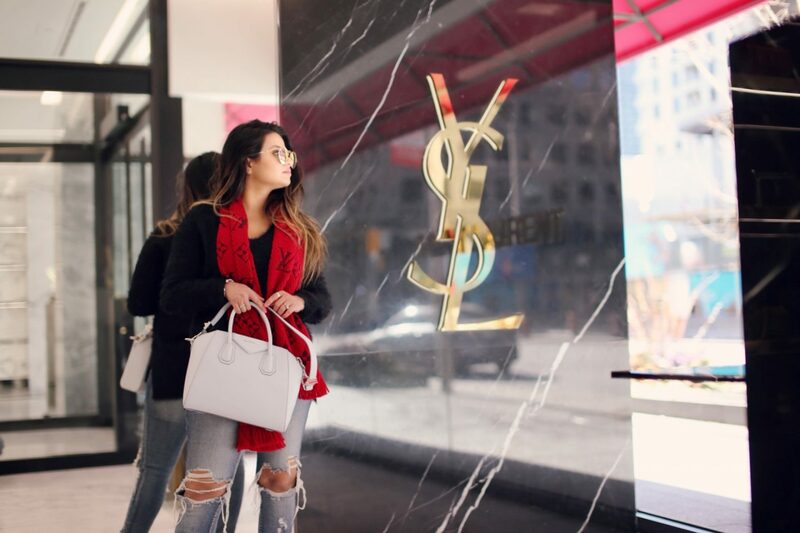 While YSL is part of the Holt Renfrew stores, they do maintain an independent entrance at this Yorkville location. 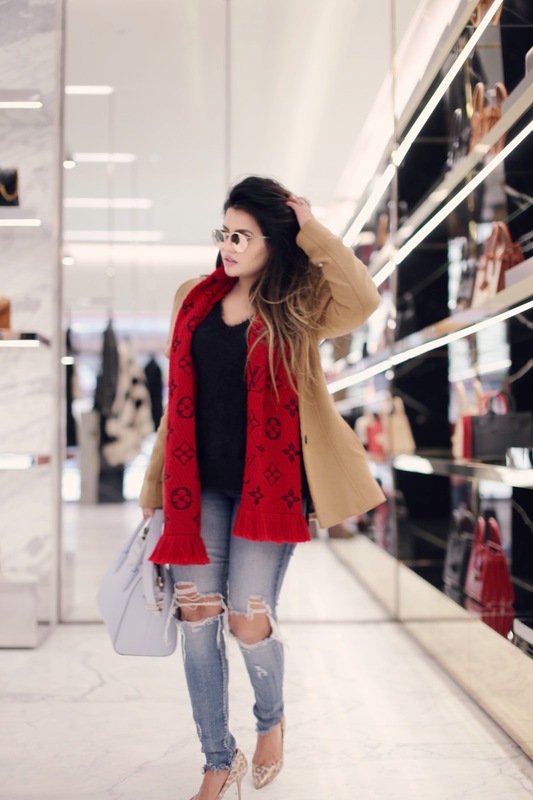 The service at YSL is always prompt and I loved the lighting and mirrors in the store so we decided to do a little mini photo op! Hope you like the pictures and if you can resist temptation (or choose not to, in my case), I would suggest paying a visit to the boutique and maybe ask them to pop open their celebratory champagne 🙂 Hope you like the pictures.